A confluence of scientific, technological and societal change is driving a rapid acceleration in the optical biosensor market. We live in a world that is increasingly aware of biological molecules and their importance: Not only has the cost of sequencing a genome fallen dramatically, but we also are beginning to understand more of what all that genomic information means. Other “omics” sciences, from proteomics (the study of proteins) to metabolomics (the study of metabolites) to the microbiome (microbial genomics and proteomics, and interactions between microbes and the human body) are likewise revealing an astonishing array of molecules that are useful for diagnostic and therapeutic reasons. Academic and industrial research on sensor technology has kept pace: Many methods have been studied for direct detection of biomolecules based on observing a change in a local optical property on binding of a target molecule to a sensor-immobilized capture agent such as a DNA sequence or antibody. In some cases based on “repurposing” components developed for telecommunications applications, such as fiber optics, ring resonators, waveguides, Mach-Zehnder interferometers and photonic crystals, these devices provide many options for biological sensing. The ability to put many of these devices together on a chip for detecting several analytes at once is a particularly attractive opportunity. In the diagnostics area, platforms currently in use are aging, and manufacturers are seeking new technologies able to provide better customer value in terms of throughput, workflow simplification and data richness. 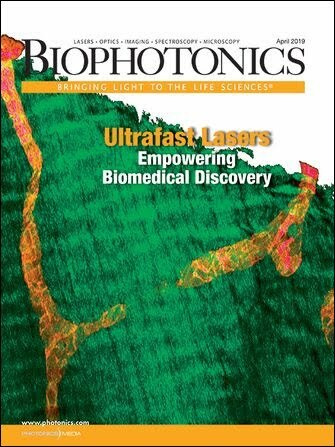 New opportunities for deploying optical biosensors in a medical diagnostic context include point-of-care and point-of-need situations: From the doctor’s office to the pharmacy, practitioners and consumers are looking for devices that can produce an actionable diagnosis immediately, rather than requiring them to wait days or weeks for treatment. Likewise, there is considerable interest in the idea of “theranostics,” or a pharmaceutical treatment tied to the outcome of a biomarker-based diagnostic. Sensors able to rapidly produce a rich set of information about a patient’s health status will be essential to these. Municipal and military applications of biosensors also represent an obvious opportunity for commercial biosensors. Whether serving as test systems for bioterror agents, or monitoring bacterial or algal blooms in the water supply, here again the range of applications open to biosensors is large. In the defense arena, a particularly interesting opportunity here is the possibility of deploying wearable optical biosensors on every soldier for health monitoring and biothreat detection. Finally, the least developed but potentially largest opportunity for optical biosensors is in the consumer space. There are already simple optical biosensors in consumer devices; for example, optical heart rate monitors are now common elements of fitness watches. These applications are likely to become more sophisticated, along with a host of possibilities for mobile-phone-enabled sensors. Understanding security and networking issues will be an important aspect of successfully navigating this market. Three additional key challenges that go hand in hand are the lack of standards, manufacturing protocols and the cost of many photonic biosensors. An exciting new initiative that may address these three challenges and accelerate development and adoption of new optical biosensor technologies is the American Institute for Manufacturing Integrated Photonics (AIM Photonics). A consortium of industry, academia and government, AIM Photonics is developing manufacturing methods that will drive new markets for integrated photonic devices, including optical sensors. AIM’s efforts are guided by a road-mapping effort, which is open to industry participation regardless of AIM membership. There is ample evidence that optical biosensors can achieve penetration from the research bench, to the clinic, to consumer products. We can anticipate that if the challenges of manufacturing, standardization, security and regulation are solved, optical biosensing will constitute a diverse and rapidly growing market opportunity for the foreseeable future. Benjamin L. Miller is a professor of dermatology, biochemistry, and biophysics and biomedical engineering at the University of Rochester Medical Center School of Medicine and Dentistry in Rochester, N.Y., as well as the academic lead on the sensors technical working group and sensors road-mapping effort for the American Institute for Manufacturing Integrated Photonics; email: benjamin_miller@urmc.rochester.edu.